Breast enlargement is a hot topic among women these days. There are millions of women around the world who are not satisfied with their low breast size. Therefore they regularly search for various remedies and treatment options to enlarge their breast size. There are numerous techniques to enhance the bust size such as home remedies, creams, supplements, and patches. Along with these, breast augmentation surgery is also one of the best options these days. Dr. Patrick Maxwell is one such renowned plastic surgeon who has been awarded for this contribution in medicine and surgery. 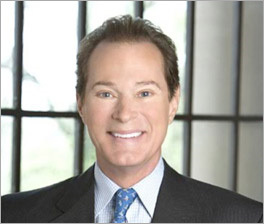 Dr. Patrick Maxwell is a renowned board certified plastic surgeon of Nashville. He is acclaimed nationally as well internationally for his achievements and contribution to breast and aesthetic surgery. 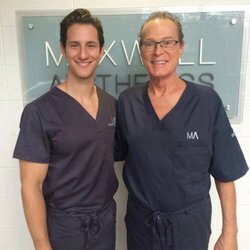 Dr. Maxwell is known for this visionary approach of innovative surgical artistry through which he delivers best quality outcomes to his cosmetic and plastic surgery patients. Though his years of experience, latest surgical techniques, and personal insight, he is helping his patients to achieve their desired goals. Being a gifted artist from his childhood and being a student of architecture, he realized in his early stage of career that he has a passion to enhance patient life through his creative talent in surgical procedures. Though his high quality and sophisticated approach to beauty and overall aesthetic surgery, he desired to serve his patients. He is graduate from Vanderbilt University School of Medicine and has received extensive training in surgical procedure from the renowned hospital in Baltimore, Johns Hopkins Hospital Maryland. After years of experience, Dr. Maxwell incorporated Baptist Hospital Institute for Aesthetic and Reconstructive Surgery in Nashville. His institute was ranked among top 10 cosmetic surgery institutes in the world by W Magazine. New York Times also named it as the first of its kind institute in the United States. Later in 2008, he launched Maxwell Aesthetics, an aesthetic surgical and rejuvenation center where he gets in touch with is patients from all around the world. In his professional career, he has received a number of awards from various organizations. American Society of Aesthetic Plastic Surgery has awarded him with James Barrett Brown Award, Robert Ivy Award, The Walter Scott Brown Award and The Chul Song Award. In 2009, the organization named his as the Clinician of the Year. In 2005, Dr. Maxwell was awarded with American Society of Plastic Surgeons’ Presidential Award for the contribution and excellence in his field. Along with regarded as one of the premier surgeons, he is also known for his charity. Despite being awarded with numerous honors, Dr. Maxwell is known for his simplicity and commitment towards the personal care, safety, and high-quality surgical outcomes for his patients.